Founded in 2002, Clook.net is a private hosting service company situated in Preston, UK, with the local focus, providing 99,99% uptime guarantee. It is a daughter company of Sub 6 Limited, that also has 2 sister companies in the US: Clook Internet USA and ClookCDN. Currently, there are 4 shared hosting plans at the moment: Shared-0, Shared-1, Shared-2, and Shared-3. Apart from the Shared-0 plan that has no monthly billing option all other plans can be purchased for 1 and 12 months. The cheapest price offers are demonstrated in the table above. Domain registration and transfers, to name a few. There are no money back guarantee or free plans, however, in case of subscription company offers free managed migration from the current provider. The overall pricing is in the middle range for similar solutions. The company emphasizes on impeccable 24/7×365 support but lacks tech support live chat. 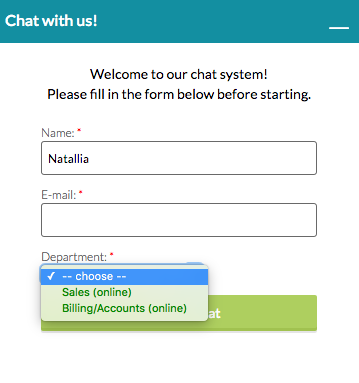 In fact, there is a live chat but it is for sales and billing inquiries only. They also have a phone number at the top of the page and more numbers on the contact page, a contact form, and ticket support. 8.2 HRank and #36: Clook.net was quite good in 2018 we have to admit. The provider’s uptime was always 100% apart from three cases of 99.942%. 99.918%, and 99.824% of uptime. Impressive, isn’t it? Their response time, however, was less impressive. At the beginning of the monitoring period, it was in ~1,000ms range and grew slightly faster (~800ms) by the end of the year. There is a decreasing trend in the number of websites despite next to perfect uptime.